Tim Dalling is a unique performer, songwriter and accordionist. 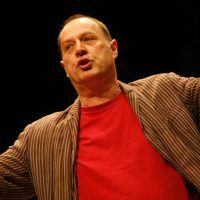 His work has ranged from musical and theatrical clowning to serious songwriting for theatre, performance and recording. 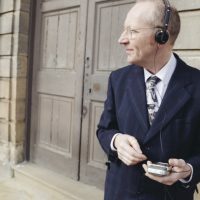 His style ranges from traditional folk to jazz and music hall and has been described as a cross between Ivor Cutler and Randy Newman. His main job, for years, has been that of the kilted, accordionist fall-guy in The Old Rope and then The New Rope String Band, internationally-famous theatrical and visual comedy folk band. 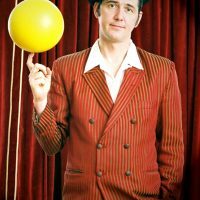 This charismatic trickster combines the high skills of the circus with inspired comedy in his world-renowned Street Theatre show! His warm and playful demeanor win over the audience and guarantee a great time. Hovering three metres over the ground, his slack rope show is a feat of multi-tasking and dexterity as he balances, spins a ball and juggles three flashing blades! Matt Black is a writer based in Sheffield and Leamington Spa. He writes poems (and occasionally fiction) for adults and children. He writes for publication on the page as well as for Spoken Word and performance.